Ever since The Law of Attraction was brought to the attention of humanity, especially since the excellent "The Secret" movie which almost everyone will have heard of by now, various people it seems have been inventing new "laws" which in reality simply do not exist. It almost seems there is a "law" for almost everything these days according to the people who invented them for whatever reason. First of all even the word "law" is somewhat erroneous. "Law", although technically can be used in this context, usually implies something that is authoritative, and must be obeyed for fear of some sort of retribution, as with the laws of a country. The more correct word in the context of these Universal fundamentals is "Principle" - the word that has always been used in esoteric and occult circles, by "mystery schools" etc. In addition, "The Law of Attraction" is not actually one of the seven Universal Principles in and of itself, rather being a subset of other primary Universal Principles such as "Cause and Effect" and "Correspondence". This week therefore we will take a closer look at the seven primary and fundamental Universal Principles that really are "Principle" to the workings of the Universe to which we are all subjected. This Principle embodies the truth that the entire Universe is an infinite living Mind, Universal Mind, and Consciousness, of which everything and everyone is an integral aspect. Everything in the Universe in all of its dimensions or spheres exists within the infinite living Universal Mind, and this living Mind, in which we live and move and have our Being might truly be called "God", The First Cause, or Source Energy. This is another extremely important Universal Principle, teaching there is direct correspondence between all planes of reality. 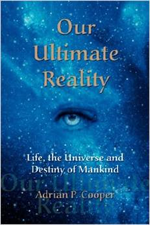 As we will discuss later in this book, the material universe of matter is but the very lowest plane, realm or dimension of an infinite Universe of ever more subtle planes of Energy of increasing vibration and decreasing relative density. Everything in the entire Universe, without exception is subject to Divine order, otherwise, there would be chaos, and the Universe would collapse in an instant. This Divine order is prevalent between all of the great planes of life because anything which occurs on one plane will be reflected on all other planes in exactly the same degree. This has to be the case in order to maintain a perpetual state of balance, harmony and Universal equilibrium. The Principle of Correspondence is most aptly represented by the famous axiom "as above, so below". The basis of the Principle of Vibration is that everything in the Universe is constantly in motion. Nothing ever rests for a single moment. Vibration is, in fact, a characteristic of Energy, a fact which quantum physics is now rapidly coming to accept as the fundamental basis of the laws of the greater Universe. The Principle of vibration also explains the differences between all manifestations of matter, Energy, and Spirit, all of which are ultimately pure vibration, or Energy. Everything from the highest aspect of God, pure Spirit, the very highest manifestation of vibration of all, all the way out to the physical world of matter are degrees and manifestations of vibration or Energy, all within the infinite Universal Mind. The Principle of Polarity affirms the fact that everything in the Universe is dual, i.e. having two poles. This Principle also provides for the fact that there are no absolutes in nature. For example, when people refer to "hot" or "cold", these are not absolutes. They are rather degrees of hotness and degrees of coldness relative to, or in comparison with each other. There are therefore no extremes, but rather only degrees of the same thing. North and South, East and West are merely degrees of direction. Similarly, light and dark are only degrees of illumination, the question being where would light begin and darkness end? The same Principle applies to large and small, black and white, hard and soft, noise and quiet, high and low, positive and negative, and so on. Another example are the concepts of "love" and "hate", which again, are only degrees of the same emotion, with "like" and dislike" being within these two parameters. There can be no absolute love or absolute hate, and the experience of these two polarities, as with all experience, will vary according to the perceptions of each individual. Something one person might perceive as being associated with "hate" might well be "loved" by the next person. This particular example of the Principle of polarity highlights the possibility for mental transmutation, also known as "Alchemy". In alchemy, the "hate" of something can be transmuted to "love" of the same thing with transmutation taking place along the same polar axis. Similarly, bad or "negative" attributes of the Soul or Spirit can be transmuted along the same axis to their corresponding "good" or positive attributes. The Principle of polarity is, therefore, extremely important in the process of the ennoblement and perfection of every human being on the sacred path back to our Divine Creator. The Principle of Rhythm encompasses the truth that there is always action and reaction along the same axis of polarity. A pendulum swings from side to side, the tides of the seas ebb and flow, and on a much wider scale, we witness the rise and fall of people claiming power over others such as dictators, the rise and fall of businesses and other entire organizations and most will be aware of the rise and fall of empires of which there have been many examples throughout history. All of these are examples of the Universal Principle of rhythm. The entire Universe and everything and everyone within are all subject to the Principle of rhythm from the very highest to the very lowest aspects and in an infinite degree of magnitude. The entire Universe operates in these cycles of rhythm, also known as "cycles". Ancient civilisations such as the Maya were expert at observing, measuring and recording these great cycles which they recorded in their advanced calendrical systems, the Maya long count calendar, the current cycle of which ends on December 21, 2012 being a famous example. The Principle of Cause and Effect, also known as "Causation", is another extremely important Universal law. Some would say this is the most important and exalted Principle, and one which affects everyone in a profound way. The Principle of Causation will be discussed in much more detail later in this book. The Principle of Cause and Effect is based upon the truth that nothing in the entire Universe ever happens by chance. Everything, including every thought and every action, results in an "effect", always being associated with a preceding and directly corresponding "cause". There can never be any exceptions to this Principle. The vast majority of people progress through life completely oblivious to this exalted Universal law, ascribing everything that happens to them to such notions as "chance", "coincidence", "luck", "fortune", all of which are nothing more or less than superstition. One of the most important aspects of Causation is karma. Karma is important to everyone, and will accordingly be discussed in much more detail later in this book. The Principle of Gender embodies the truth that everything in the Universe has both masculine and feminine Principles. This Principle not only applies to humans, animals or other life where it manifests in the physical world, but to everything in creation, animate or inanimate. The Principle of gender constantly works in the direction of generation, regeneration and creation. Every male element includes a degree of the female element, and conversely every female element contains a degree of the male element. 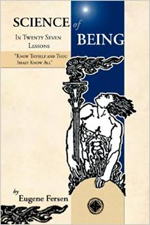 The Principle of Gender also operated in full accordance with the Principle of Polarity, where there can be no absolute male or absolute female, but only relative degrees of "maleness" and "femaleness". All of these Universal Principles are vitally important and integral to the harmony of the Universe in all dimensions and are integral aspects of the truth that everyone and everything in the Universe is an equal and integral aspect of God, The All, The Source, and of each other. There is no separateness in the Universe whatsoever. As mentioned previously, The "Law of Attraction" actually encompasses most of these Principles to some extent, but in particular the Principles of Cause and Effect, Correspondence and Vibration.